Please, don't post comments on this thread. Questions and comments should be taken to the discussion thread. Thread for reference on monster types, and their power level and skills. Made for consistency throughout the game. Lordxana0 is the one making the awesome compilation, many thanks to him. Please note that, as the creatures get defined they may be slightly different from the original author's intention. This is because Xana offers it in a 4 character viewpoint for a more entertaining read, instead of simply copy-pasting what was said in the monster's appearance. And unlike NPCs, monster-types aren't bound to one or two authors responsible, therefore variations will occur. Last edited by Pixelmage on Sun Mar 31, 2013 12:41 pm, edited 6 times in total. Warriors: These little guys are pretty weak, heck I could step on one and accidentally kill it. When they get in groups it is a cause for trouble, but nothing a well trained warrior can't handle with a few slashes of a sword. Scout: Man serious I hate these guys. They are so short I can never get a good aim on one. When you are used to aiming at things a bit taller it really throws you off. But thankfully they are pretty dumb, lead em into a trap and watch em fall like lemmings one after another. Mage: Hm, quite an interesting species. They seem to be some sort of reptile. They are not very intelligent, but some of them can perform kinds of magics that mages attuned with nature can use. They are quite resilient to fire based magics but weak against cold. Not really worth studying to much. Crazy Mike: Short little lizards cheat at cards! Last edited by Lordxana0 on Fri Mar 29, 2013 1:52 pm, edited 1 time in total. Warrior: Now this is a right nasty creature. Huge, powerful, and ready to rip whatever is closet to it into teny tiny little people bits. Even I wouldn't feel confident going against it with the best sword I have. If you can avoid it, if you can't get a group together and attack it all at once. Scout: Okay this thing? Stay away from it. Don't try and fight it, don't be all brave and say you have faced something like it before. You haven't. This thing will rip you to shreds before you get your second arrow ready. Make sure you have a lot of meatshields in the way before you start combat with this thing. Mage: A demonic creature used by evil forces as a sort of strong man to take out any who oppose them. They are highly resistant to normal weapons and even some forms of magic. Unless you have a large group they should be avoided at all costs. Its hide is thick, so try blinding it if you can. These creatures adapt quickly to just sound but it will give you a brief moment to flee if needed. Crazy Mike: Thing stole my slipper, going to go punish that naug.... oh god it has teeth! Description: Huge, deadly, and ready to kill anyone dumb enough to mess with it. These creatures are not meant to be fought by any but the most impressive of heroes. They may run on animal instinct but they are some of the best hunters in the entire world. Their bodies are hard to pierce with anything less then an enchanted blade. Their eyes provide a weak spot to archers. They seem to be resistant to lower level magic. 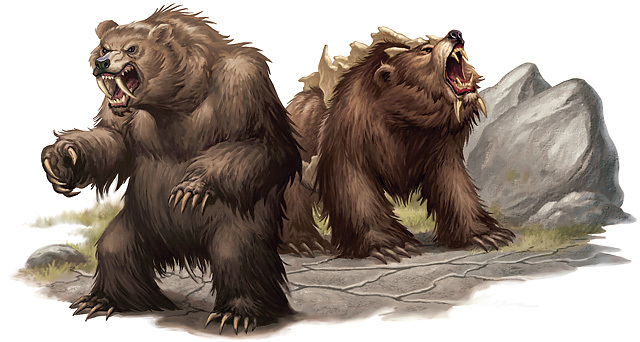 These things prefer to be on their own, but if a strong dark force is leading them then watch out, following the orders of a more intelligent creature Behemoths are not to be approached. At all. Last edited by Lordxana0 on Wed Apr 03, 2013 5:30 pm, edited 2 times in total. Warrior: These bastards are like the kobolds but a little taller and worse a little smarter. These guys can make their own weaponry. Not to be easily messed with. One on one they are still easy enough, but a small party could give a group of adventures a hard time. Scout: You know, these things are still small and hard to shoot, but I like them. They can be reasoned with at times and you can trade with them. They aren't great intelligence don't get me wrong, like I don't think there is a booming goblin poetry collection. But smart enough to be a problem. Mage: Interesting, to say the least. 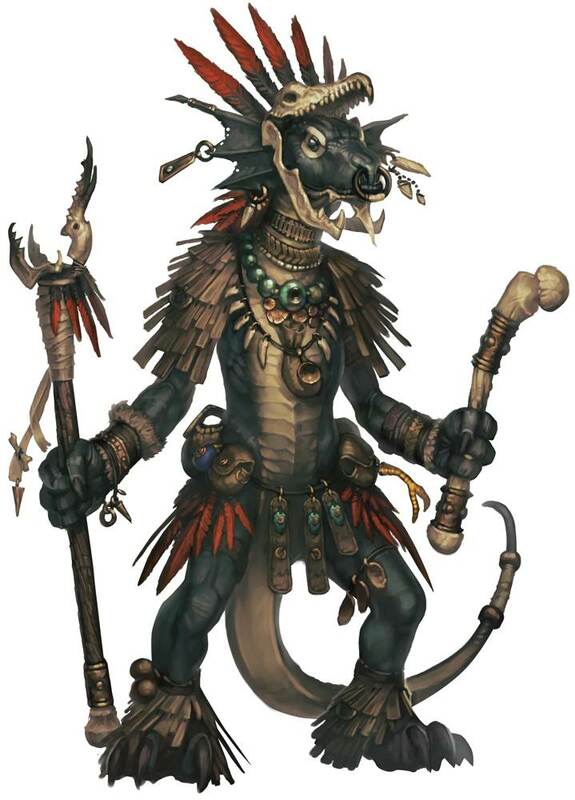 They appear to be somewhat related to the Kobold race. Perhaps they shared a common ancestor... would make for an interesting study to be sure. They appear to share the same weakness to cold that their cousins do. The difference being they can light a fire indoors without burning down an entire village. Some of them seem to grasp the basics of magics, but not many. Crazy Mike: They ate my sandwich. It was either them or that baby lizard. And Gary Gecko has never eaten a sandwich before in his life! Description: Intelligent, tough, and fast. 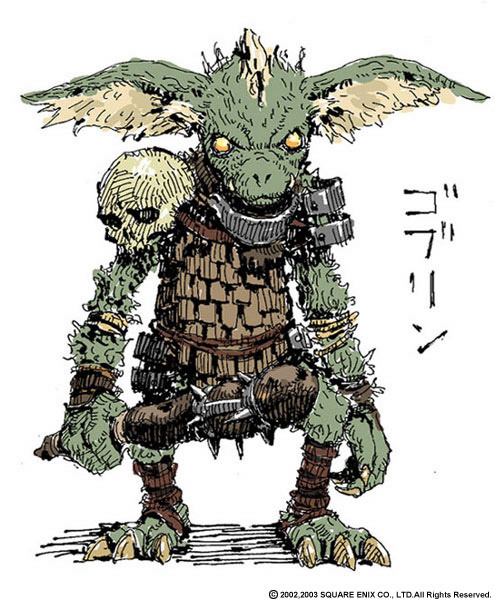 The goblin people are of course lizard like in some aspects. But what sets them apart from the equally lizard like Kobolds (other then vastly greater intelligence) is their height. The average Goblin will stand at least a foot above a full grown Kobold. They are also known to smelt their own weapons, not the best quality, but not the worst either. They are known to trade for many things, magic trinkets, gold, and even stage shows and poetry readings (they really do find human culture quite amusing). One on one an average adventure could easily defeat a goblin. In a group they are quite a bit more dangerous, fighting in groups with actually tactics. Some can become mages, through most don't strive toward this path. Warrior: Dangerous animals alone or in a pack. They come at you tooth and claw and move as fast as a healthy man at full sprint without even trying. If they jump on you they will press their full weight and knock you straight to the ground. Avoid if possible, of course they are animals, so you can scare them off. Scout: Hm, they are pretty smart for animals. They normally travel in packs. If you take out the one leading them they will be confused to attack at once. A perfect chance for escape. Of course you could also take down a deer, toss it to them and go around well they eat their fill. Mage: Interesting beasts. They travel in packs and have a defined leader. In terms of magic fire works well because their fur is easy to catch. Beastmasters are known to contract them because it is easier to take control of just the alpha and lead the entire pack with just the control of one creature. Crazy Mike: Killed a wolf once. Had fifty gold pieces on it. Why did the wolf have fifty gold? Because I put it there. Magic. Description: Fast, deadly, and a pack animal. These creatures normally travel in packs and share their food among them. They will normally avoid contact with humans, but when the woman wolves are giving birth they will attack anything that gets even close to them. Their main attack is pouncing and pinning down their targets with claws and finishing them with their fangs. Best to be avoided. Warrior: If there is one enemy I hate the most it is definitely these freaks. It doesn't matter how weak they look they are all strong as a freaking ox. They don't even need to train in order to be stronger then the average man. Don't fight them alone, don't fight them at all if it can be avoided. Scout: Bastards. That is what these things are. They are fast enough to pluck an arrow right out of the air and toss is aside. Running isn't really an option seeing as they are faster. Carrying blinding powder and things of that nature. Their senses are a lot better then ours, so if you can disrupt them you can give yourself an opening to escape, or shoot them through the heart. Mage: Truly a race of evil beasts. They steal the souls of people to sustain themselves and give themselves strength. It is thought among mages that the stronger the soul the more power the vampire gains. Say they ate the soul of a kind man who gave to charity and did whatever he could to help people. 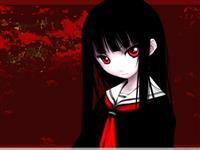 The vampire would become much stronger and be feed for longer then if he ate a criminals soul. They have a strong aptitude for evil magics. If they eat the soul of a mage they also gain all his knowledge of magics and his ability to use them... until the soul dies off of course. Crazy Mike: Sure becoming a vampire might sound cool. But did you know they can't sing? Yeah vampires can't sing, ain't got no soul to put into it. Description: Strong, fast, and having a taste for your soul. Vampires are one of the most dangerous race of monsters due to the fact they are humans but with more power and an appetite for destruction. A vampire kills its victim by draining their soul through the persons blood. A vampire can subsist on a single soul for about two or three weeks if it is a good soul, an evil one will only last a few days at most. 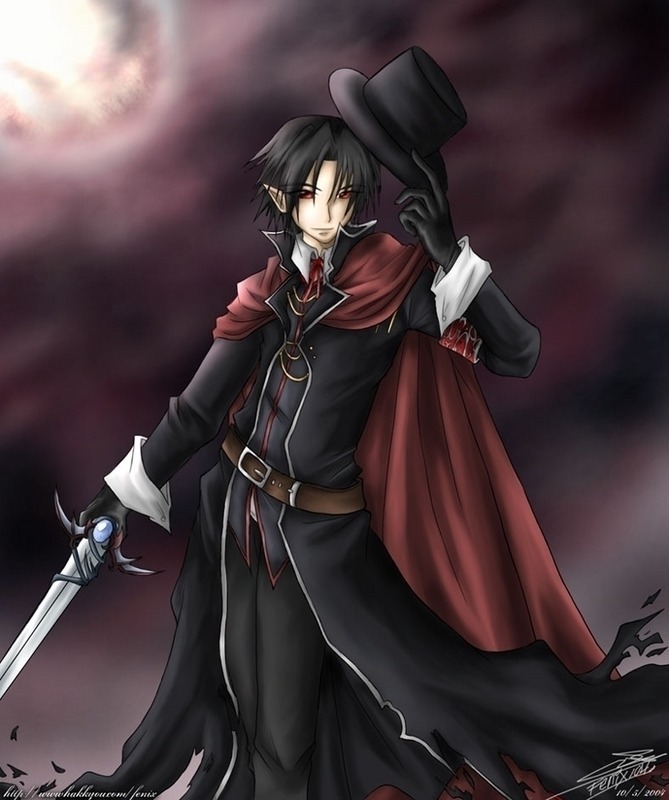 Vampires love targeting mages to absorb the powers of their magics and use them to advance their ranks. Vampires greatest weakness is fire and light. Sadly most vampires develop dark spells to divert the suns power around them, through this takes massive concentration, and if it breaks the sun would quickly destroy them. Their own dark magics also seem to be weaker around the rays of the sun, so they try to avoid fighting in it to keep an advantage for themselves. If a vampire who has eaten a soul is killed before the soul disappears then the soul will be released to the afterlife. Note: None of this applies to Elders. Do not fight Elders. Run from them. They can last years off of one soul and posses magic unlike anyone has ever seen before. Find other ways. Bury it, block its way, destroy everything around it with fire storms. If you see an Elder then you are dead, you just don't know it yet. Last edited by Lordxana0 on Wed Apr 03, 2013 5:30 pm, edited 1 time in total. Warrior: Ha, the greatest hunt a warrior can ask for. These creatures normally are alone unless they have a young one around. They are strong as the twice a normal man and make excellent creatures to prove how strong one truly is. Unless it is a Rock Bear. Crazy Mike: Ha, not so scary, I steal honey from them all the time. I am talking about normal bears by the way. Not Rock Bears. Even I'M not that crazy. Now excuse me, I have a beating stick and a serious need for something to sweeten this tea. En garde! Description: Big, powerful, and fluffy. Bears are a normal animal to encounter in forests. They are seen near streams during the summer months where they catch fish. They can be found near caves during winter when they enter a long sleep. They can be warned off attacking humans, and unless they have a mate or cub near by, then expect to have a fight on your hands. Warning: If you see a bear that has a variety of rocks along its spin then it is a Rock Bear. Avoid this creature at all costs. Warrior: No matter how many times you cut these bastards down they’ll keep coming back up, and depending on their body, you might not be able to cut them at all! They also have that nasty habit of trying to eat anything that gets close, so if you’re gonna stab them, do it quick, and possibly be willing to part with your sword. It’ll all be for nothing unless you destroy that giant pimple in the center, though. Scout: Let me just say right off the bat that arrows are practically useless against these things; they’ll just consume them to increase their mass, and getting up close with knives is suicide. I have had much better luck just sneaking past the things, since they’re kind of single minded, and in most cases, their movement is pretty slow. If you have no choice but to fight, bringing in some explosives might do the trick. Mage: Devilites!? Stay away from those things, you fool. They are the remains of a powerful devil, trying to recreate its lost body by absorbing the area around it, including people. It’s insane to try and fight one conventionally, maybe insane even unconventionally. Its body will always regenerate unless you destroy its core, and depending on the body that can be near impossible. A powerful piercing or explosive spell might do the trick if you’re lucky. Anything that’ll just damage the body, like regular fire or lightning, won’t help, but maybe a well flung ice shard or powered up fireball might be able to break through the skin and destroy its center. Crazy Mike: This thing ate my cow once, worst thing I ever walked in on. We got a divorce soon afterward. Description: Deadly, ever consuming; Devilite’s are what is left behind when a powerful enough Devils body is destroyed. The blood gathers together and crystallizes into a single organic orb. Despite popular belief, THIS is the creature, not the body it will soon form. By tapping into the ether, the creature can take control of the environment around it, allowing it to make the inanimate animated, and slowly grafts this environment onto itself, in a desperate bid to recreate the body it once lost. The Devilite’s only goal is absorb powerful objects and souls until it has a suitably powerful body once again. It is possible that, given enough time and power, a Devilite CAN restore its original body, effectively bringing the original devil back to life if it does so. The Devilite’s power is directly related to what it uses to create its body. 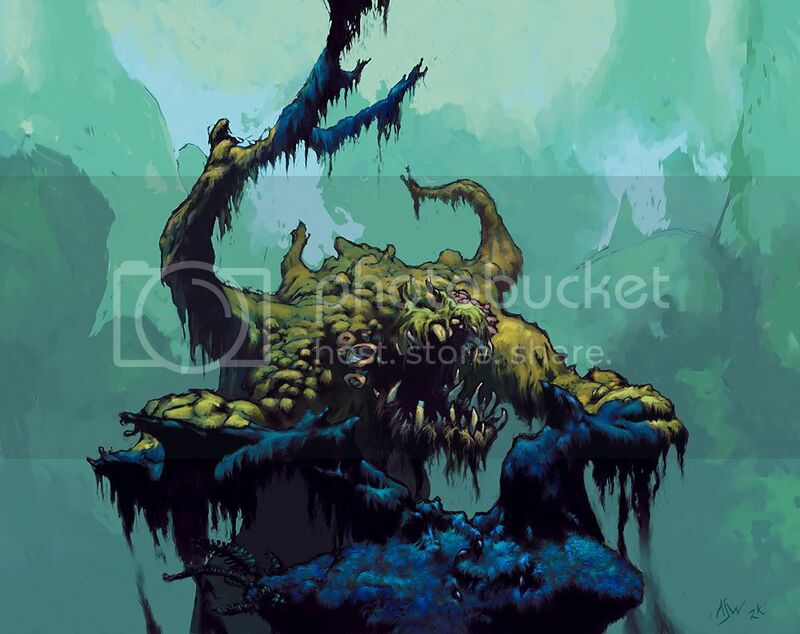 The one encountered in the Underground was fairly weak due to only having available moss and fungus to comprise its body, and even it was a dangerous monster. Note that the material does not need to be completely organic; a Devilite can form its body out of rock, wood, skeletons, lava, even water or paper if it’s the only thing available. 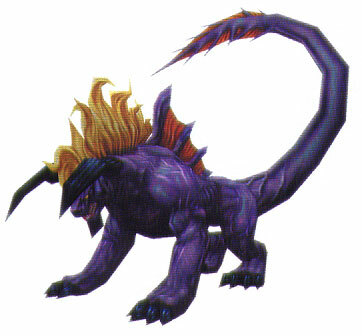 Note: A Devilites strength can somewhat be determined based on how close it appears to resemble its original body. A blob of whatever is laying around is still in its early stages, but the more and more “humanoid” it begins to look; the closer it is to restoring its body. It is imperative that Devilites are destroyed BEFORE restoring their body as Devils are far, faaar more dangerous. Warrior: Well-heh-hellooooo there foxy lady. Or should I say snaky? That doesn’t sound as attractive to me. Ah well, you really shouldn’t be hitting on these things anyway. These are like the snake equivalent of the centaur, a combination of snake and human, and female to boot! The combination is pretty…and pretty deadly. The upper body is capable of wielding weapons just as capably as any human, and their lower half is absurdly strong. Careful, they like luring warriors close and constricting them with their tails into submission. Ha, you’d need to be some kind of monster to be able to break free of it with strength alone. They tend to fight in groups of at least 3 as well, so weapons with reach that can put distance between you and them is recommended. Scout: Bleh, there’s just something gross about these things, being like…slimy humans…with a tail. Don’t let their large size surprise you, that tail allows them to be surprisingly maneuverable and agile, and can crush a person easily if you’re not careful. Bow and Arrow is your best chance against these guys, but I’ve seen some Nagas that use bows themselves, so its best to assess the situation before assuming your bow will be enough. If there’s one thing I would avoid at all costs, is fighting them in water. However quick they are on land, they’re twice as quick submerged. Though one advantage, if you can take it, is that they need air just like we do so they can’t stay submerged forever. Mage: Naga’s were apparently created by some sort of unholy union with a proclaimed ‘snake god’ and a human; at least, that’s what I’ve read. The unusual thing about these creatures is that they are all female, so as to how they reproduce it is unknown. Quite frankly I don’t want to know. If there are male, no human has ever seen one. They tend to live in dank or moist places; I guess it’s more comfortable for their skin. Alone a Naga is not much of a threat to a mage, as they don’t have much resistance to magic of any kind, ice and lightning in particular being exceptionally effective. The problem really arises when they are encountered in groups. It only takes one to wrap its tail around you to make channeling magic almost impossible. Speaking of which, I’ve heard in rare instances there have been Naga’s that are capable of low forms of magic, about on par with a kobold mage. Crazy Mike: We should jump on the combining humans with animals thing and make some of our own! Chickmans, Manpigs, Manman’s, think of the possibilities! Description: Naga are fairly intelligent human/snake hybrid. All female in race, their upper body is typically the portion with the human characteristics, though the skin is closer in texture to that of a snake. The key to a Naga’s fighting style is using the immense strength in its tail to attack or constrict its opponents, or use it for incredible maneuverability. The tail is by far the most muscular part of its body, and is typically the most resilient to damage. Naga’s rarely travel alone, typically traveling in hunting parties of three to six. Communication with them has been futile; they seem to attack humans without warning for some reason and refuse to speak. There is evidence that they speak the human tongue, as some adventurers have overheard dialogue between themselves, but once engaged in battle they resort to intimidating hissing and screams to put their opponents off balance. Warrior: Ghost are the worst. The most you can do with a normal weapon is cause them to disperse for a second or two before they reform; doesn’t stop them from cutting you to shred in the process. It’s pretty much pointless to even try and fight them unless you’ve got some sort of blessed weapon or a holy man with you. Scout: G-ghosts! Just thinking about them scares the hell out of me! Not only are weapons useless against these things, but they can phase through walls and floors. Nothing can stop them but some magical barriers or holy artifacts. If you see them, run to the nearest church and hiiiiiide! They won’t go anywhere near those things. Mage: Ghosts, the souls of the dead caught in the magical ether between the living world and the afterlife. They remain literally between dimensions. This allows them to interact with forces in this dimension while barely being affected the other way around. Even basic magical spells are of no use, fire, ice, and lightning will just phase through them. There are a few ways to get around this, from what I have read. Blessed objects are capable of interacting with creatures caught between dimensions, allowing them to be destroyed. Also, some of the higher tiered healing magic is capable of cleansing the ghosts and forcing them out of the ethereal dimension and back to the afterlife. Crazy Mike: AAAAAAAAAAAAAAAAAAAAAAAAH! AAAAAAAAAAAH! AAAAAAAAAAAaAAAAAaaaaaaaaaaaaaAAAH! I stubbed my tooooooe! What? Ghosts? They smell. Descrption: Ghosts are the spirits of the dead who have refused to have past on to the afterlife, somehow being caught within the ether that mages draw their magic from. This causes them to exist in two dimensions at once, making them incorporeal projections in the land of the living. Only objects or people blessed by holy or healing magic are capable of harming them, outside of that the most that can be done is disperse their body temporarily. Due to the nature of their form, they can phase through anything assuming there is no magical seal or barrier over it. Strictly speaking, a ghost will retain all of its intelligence and skills of whatever they were before they died. As well, it seems any intelligent enough creature can become a ghost, though it seems only humans can “naturally” become ghosts, the other species must have outside interference for this to work. In particularly powerful cases, a ghost may be capable of possession if the target is weak willed or willingly submits. A possessed person will not die from the interaction, but will not be capable of controlling their body unless the spirit wills it. During this time the victim and ghost share knowledge between each other, causing each other to learn everything the other knows. In cases of possession, it takes powerful healing magics or prepared exorcisms to cure the afflicted. Warrior: Twice the size of the tallest man alive, and proportionally strong, orcs are not people you want to see angered. A single punch from one of them could break your bones, and that's not even when they are holding greatswords, war axes or even giant clubs single-handed. That means they can wield a shield too, but you should really worry if they are not wielding a shield but rather another weapon. In that case, I hope you can run really fast. Scout: When dealing with orcs there's just one advice: running. Primarily away, but if you are feeling specially suicide someday you can try your luck and fight strenght with speed. Luckily for the rest of us, orcs tend to not use ranged weapons most of the time. Besides, of course, the occasional boulder or person they decide to throw around in the heat of battle. Mage: Ahh, yes, orcs. As a race they tend to be born with either the power over Fire or Earth. Healers are not unheard of, though these are encouraged to either become doctors or forget using their magic altogether. Still, many orc mages learn how to use their arcane power alongside their natural physical strenght with great effectiveness, resulting in even stronger warriors. Hm? Orc Berserkers, do you ask? Well, the stories are similar to stories about therianthropes (known popularly as "weres"), though there are no known studies showing higher or lower rates of therianthropy among orcs. Crazy Mike: Yes, I have slept with an orc woman. And I know what you're gonna ask: the answer is 'yes'. Description: Orcs are a sentient race of naturally strong and resilient humanoids, measuring up to 15 ft and weighting over 400 pounds. Despite that, they present some features that lead many to think of them as being beastlike, such as their snout-like nose or their distinctive amount of canine teeth. Their skin color can vary between green, dark red, brown and shades of thereof. 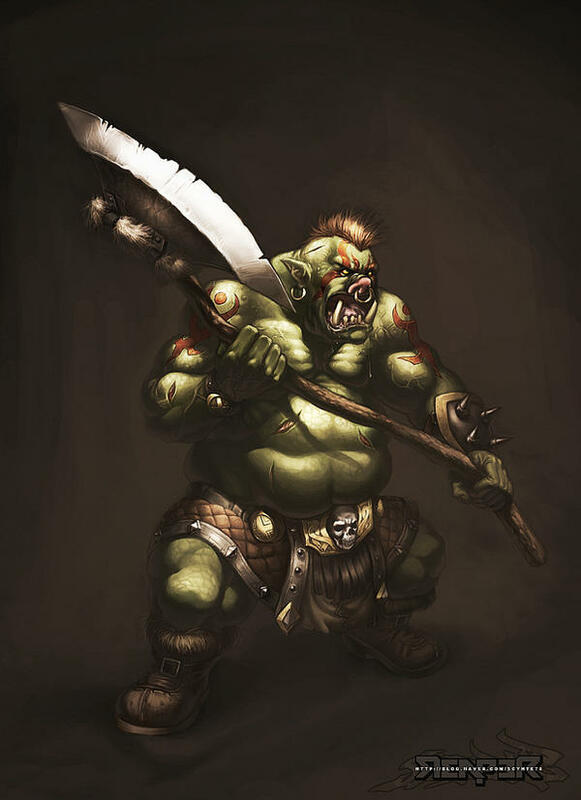 Orc populations gather in tribes or villages, usually very distant from other settlements of any kind. It's believed this is due to the fact that, differently from many races, orcs do not need siege machines to breach walls and fortifications, therefore should conflict over land or resources arise they have the upper hand.